A recent crackdown by leading authorities has led to the arrest of multiple individuals and the shutting down of several leading websites, yet the online currency Bitcoin has enjoyed an upturn in fortunes. The dark net, also referred to as the deep web or invisible web, is a section of the internet not accessible by traditional searching methods. Leading search engines such as Google, for instance, will not display results from the dark net. Far from a small sub-section of the internet, it is believed that the dark net could be around 5,000 times larger than the regular web, known as the surface web. Because of the secrecy that surrounds the dark web, it has gained a strong reputation for the exchange of illegal services. Perhaps the most well-known exchange site is Silk Road, where users could quite easily buy drugs from one another using the go-to currency for the dark net, Bitcoin. After a questionable start, Bitcoin has become an acceptable currency in the internet community and is increasingly close to permeating the mainstream, with a Bitcoin ATM machine being established in Shoreditch, London earlier this year and several more being added worldwide thereafter. This week, a carefully crafted raid on the dark web proved massively effective. The FBI teamed up with Europol and several other agencies to launch an attack on some of the most prolific dark net instigators. Code-named ‘Operation Onymous’, the mass seizure saw 17 people arrested for their involvement in dark net’s illegal activities, seized hundreds of illicit devices across nearly 20 different countries, and shut down some of the leading markets allowing the exchange of illegal goods and services. It would be a safe assumption that, after such a dramatic raid on some of the prime reasons behind Bitcoin’s popularity, the closure of so many marketplaces would lead to a decline in the value of the internet-based currency. Perhaps surprisingly, it seems to have had the opposite effect. Over the last week, Bitcoin’s value has risen by an impressive$25, peaking at $365.82 at the time of publishing. Not only has the currency seen its value soar, but the volume in which it is used too. A 32% week-on-week rise took the overall volume output to 2.61 million BTC. In typical trading terms, the raid would appear to have had a reverse effect on Bitcoin. This is not a one-off incident. Back in 2013, a similar situation occurred when authorities successfully closed down a marketplace known as Silk Road, one of the most popular trading places rife with illegal activity. After an initial lapse from $125.49 to $99.81, Bitcoin enjoyed a strong resurgence within 48 hours, bouncing back to $116.32. What happened thereafter was an exponential and near instantaneous growth that peaked at $1,147, leaving those early investors in the post-raid period to fill their pockets. With the recent raid – which incidentally included the closure of Silk Road 2.0 – is it possible that those looking to invest now will experience a growth spurt comparable to that of 2013? OKCoin may help explain the figures. In an online statement, the company announced a change to the way in which they measured trading volume. Every Bitcoin traded would then be counted as two units; one purchased and one sold. Simply put, the output would seemingly appear to double overnight, though in actuality it is simply an alternate method of calculation. This goes some way to explaining the recent trends, although it is worth noting that this has quickly become the industry standard and given the announcement OKCoin cannot be accused of trying to mislead investors. Despite this, controversy remains regarding OKCoin’s change in policy. The company itself even highlighted their reluctance to make the switch to the new system. With Bitcoin having been regulated by the US, perhaps this is a new era for online currency exchange that could potentially see its value witness unprecedented growth. Indeed, the FBI raid will help to attract established investors. As is ever the case with Bitcoin, scepticism abounds. Analyst Tim Swanson, who works for altcoin exchange Melotic, was less than excitable about the developments. 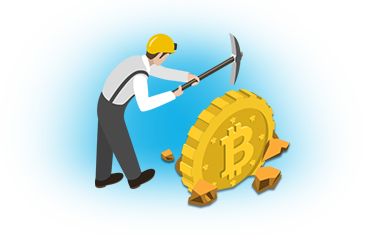 “Instead, it is likely a combination of advertisement spam, P2SH, mining pay outs, mixing and Counterparty transactions” claimed Swanson, highlighting the image of uncertainty which Bitcoin has struggled to shed. Whilst few certain predictions can be made, as is the case with all stocks, bonds and currency markets, it is certainly an exciting time for Bitcoin and should it successfully separate itself from the dark net image it is so keenly associated with there is no limit to the development potential.